Union, Ky. - Aug. 22, 2017 - Since moving to the United States in December 2015, the reception for the Leatherdale Farms' stallions has been incredibly exciting. One of the stallions, Fairbanks, a stunning 10-year-old Oldenburg stallion, has rejuvenated many breeders' interest in producing high quality sport horses in the United States. From some of the world's most sought after bloodlines, Fairbanks (Flemmingh-SPS Identify, Inselfurst) was the champion of the 2009 Oldenburg Stallion Licensing in Vechta, Germany. Fairbanks demonstrated elegant movement, explosive jumping capabilities and a charming temperament with a desire to please. "Fairbanks has three beautiful and very elegant gaits with a lot of presence," explained Dr. Barbara Schmidt, D.V.M., of Bridlewood Farm. "When you see him move, it's pretty incredible." "Fairbanks is very exciting. He is a stallion that has very good gaits and a wonderful temperament, which he has had since he was a youngster in Germany," explained Holly Simensen, the North American Director of the Oldenburg Horse Breeders' Society. "During his licensing, he was quite cooperative and showed himself off very well. I think we are now seeing his personality and grounded mind through his offspring as I have not seen one yet that has been the slightest bit silly. His offspring have been very focused, balanced and know where their bodies are." 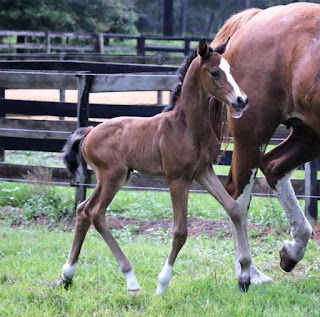 In 2011, Fairbanks presented his first outstanding foal crop and his progeny are expressive with long lines, beautiful heads and necks and outstanding movement. 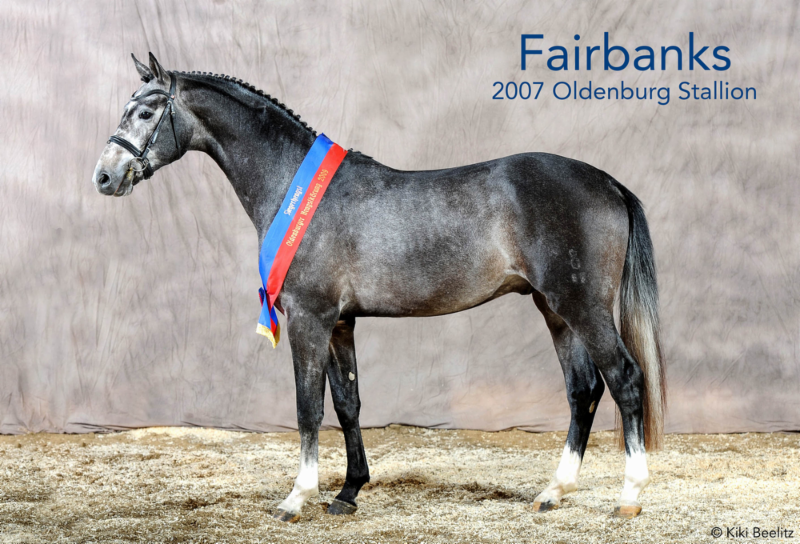 At the 2011 Oldenburg licensing, Fairbanks was awarded the 1c-Premium due to his exceptional Stallion Test results, impressive foals and his overall development as a top breeding stallion. "I believe Fairbanks added type and overall athletic ability to my SPS Dormello mare, De Lovely," Nancy Holowesko explained about her 2017 Fairbanks colt. "The quality of conformation is excellent, and he has three solid gaits. We were very happy with the colt and bred back to Fairbanks!" 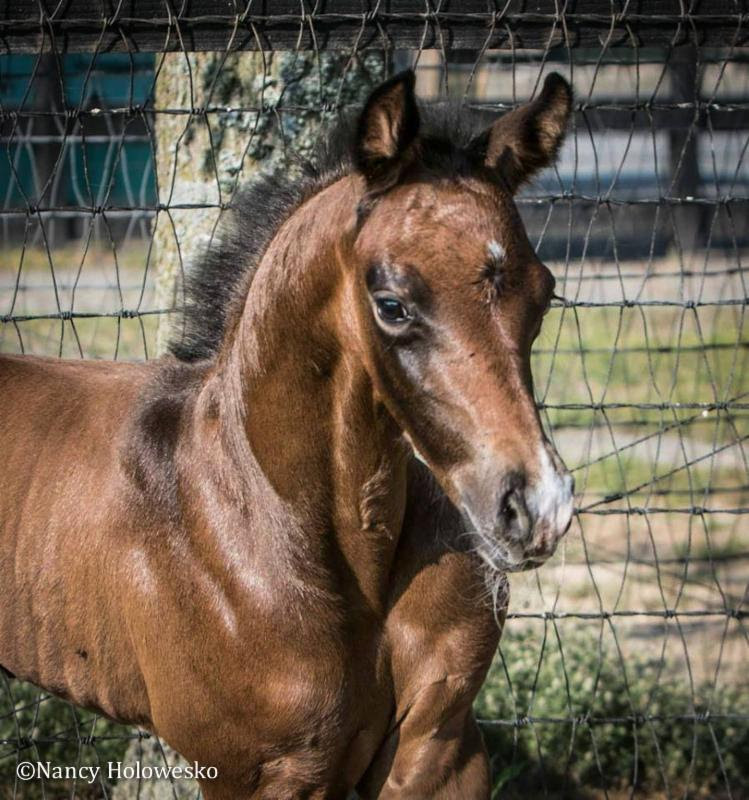 "Fairbanks is uncomplicated in temperament, which he passes along to his young offspring who are very rideable and versatile," said Dr. Schmidt. On July 4, a colt by Fairbanks was born in Ocala, Florida, at Prosperity Farms. Owned by international Grand Prix dressage rider Jane Cleveland, Film Star (Fairbanks-Rodeo Queen) has long legs, a beautiful neck and gorgeous head. 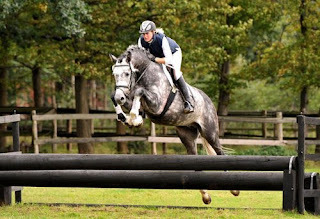 At his inspection, Film Star was awarded Premium Foal and Foal of Distinction by the Oldenburg Horse Breeders' Society. "I competed his dam, Rodeo Queen, up through Grand Prix, including the Intermediate I Championships at Gladstone in 2012 and we were also on the inaugural Nations Cup bronze medal team that year, and retired her last year to breed her," Cleveland explained. "She is one of my very favorite horses and I especially wanted a foal from her. I've also long wanted to be a breeder, so this was my chance." "She was a very forward, powerful horse to ride - not for the faint of heart, so I was looking for a lighter, more modern type for her," she continued. "As it happens, I was at the Oldenburg Stallion Licensing in 2009 when Fairbanks won and I didn't forget him. He was the favorite of the judges and the crowd. "My colt, Film Star, is very uphill and is quite agile," Cleveland concluded. "He is reactive, but not afraid, and he looks to have a good mind!"